LONDON (AP) Markets remained firm Thursday due to upbeat earnings from IBM and ongoing expectations that the U.S. Federal Reserve will provide another monetary stimulus to the economy in coming months. 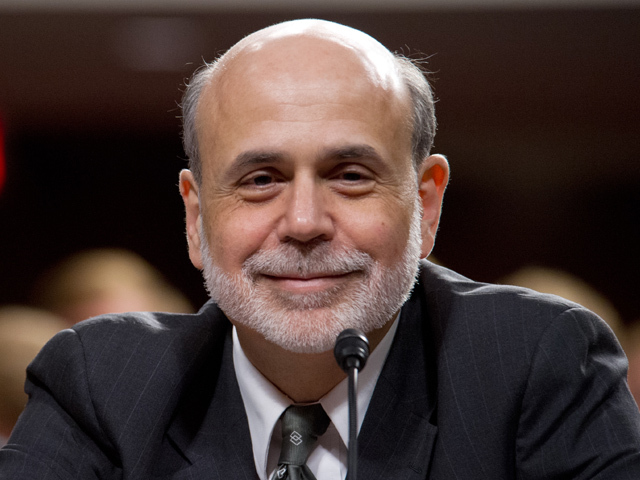 Though Fed Chairman Ben Bernanke did not indicate in his two-day testimony to lawmakers that a stimulus was imminent, his comments led investors to believe further action remained an option. The Fed has already completed two programs of asset purchases, which have the effect of increasing the supply of money, much which ends up in financial markets. "Investors remain content to believe the Fed will act if push comes to shove," said Chris Beauchamp, market analyst at IG Index. In Europe, the FTSE 100 index of leading British shares was up 0.2 percent at 5,695 while Germany's DAX rose 0.4 percent to 6,712. The CAC-40 was 0.2 percent higher at 3,240. Wall Street was also poised for a solid opening with Dow futures 0.4 percent higher and the broader S&P 500 futures ahead by 0.2 percent. Outside of hopes for help from the Fed, strong earnings from U.S. banks and IBM have also boosted sentiment and offset ongoing worries over European debt levels. Spain did manage to sell about euro3 billion ($3.67 billion) in medium-term debt, but it had to pay high interest rates due to worries about the government's ability to right its finances. Concerns over the debt levels of many European countries have weighed heavily on the euro over the past few weeks, sending the single currency down to a two-year low below $1.22 earlier this week. By late morning it was flat at $1.2277. As well as a raft of U.S. economic data later, including weekly jobless claims figures, investors will have another batch of earnings statements to digest, including from Google, Microsoft, Morgan Stanley and Verizon. "With Bernanke's testimony out of the way, investors will pay more attention to the earnings season now," said Fawad Razaqzada, Market Strategist at GFT Markets. Earlier in Asia, Japan's Nikkei 225 rose 0.8 percent to 8,795.55 and South Korea's Kospi jumped 1.6 percent to 1,822.96. Hong Kong's Hang Seng was up 1.7 percent 19,559.05 and China's Shanghai Composite Index added 0.8 percent to 2,184.84. Benchmark crude for August delivery was up 40 cents at $90.27 a barrel in electronic trading on the New York Mercantile Exchange.